co-wrote, co-directed and co-produced CARTEL WAR. He produced and starred in the feature, "American Justice" with Wilford Brimley and Gerald McRaney and directed the film "A Gift From Heaven" with Mark Ruffalo and Gigi Rice, for which he received the Best Director Award at the Rome/Florence Film Festival. 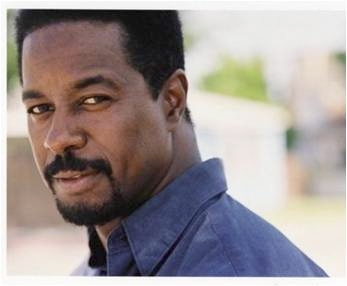 He has appeared in TV and film for over 30 years, most recently in "Collateral Damage" starring Arnold Schwarzenegger and "Hostage" starring Bruce Willis. He co-owned one of the most respected acting schools in Hollywood, The James Best Theatre Centre. Former students include Jerry Seinfeld and Quentin Tarantino. He has also been guest lecturer on Independent Film Making at UCLA Film School. Jack has also produced, organized and participated in numerous celebrity charity events in Hollywood including events benefiting youth organizations, the homeless, and A.I.D.S. He worked hand in hand on these benefits with celebrities including Joe Pesci, James Garner, Dennis Weaver, Michael Jordan, Valerie Harper and Charlton Heston. He was also the President of the World Champion professional ABA basketball team, the Long Beach Jam, from 2004 – 2005. Born in Venezuela and raised in the USA, Mercedes started in the entertainment business as a model while going to law school. Once she earned her law degree, she moved to Los Angeles to pursue acting. She studied acting with Eric Morris. While still modeling, Mercedes was the image for many prestigious brands in Europe, USA and South America including 7-UP, Lee Cooper, Bebe, was the lead in the MDO video (Te Quise Olvidar,) Nestle, Prada, Movilnet cell phones, Pisces Swimwear, Blue Perfumes, COX Cable Co. and numerous others. She returned to Los Angeles after working on a hit series (Gato Tuerto,) in Venezuela and has been busy working in films including CARTEL WAR and The Story Teller of Terror. Born in Havana, Cuba, Roberto moved to Miami, Florida where he lived until entering the U.S. Navy at the age of 19. Eleven years later, after completing his obligation to the military. The Desert Storm veteran moved to Atlanta to pursue his goal of becoming a model. Over the next 5 years he did fashion shows, print jobs and numerous commercials. In 2002, he moved back to Miami and got his big break when he was cast as one of the leads in the blockbuster hit . In 2003, he relocated to Los Angeles to focus on television and film. Since 2003, he has appeared in more than 50 projects. His TV credits include, "Lie to Me," "Prison Break," "Without a Trace," "Ghost Whisperer," "Cold Case," "Desperate Housewives," "The Unit," "Criminal Minds" and "NCIS." Film credits include, "Green Guys," "Meeting Spenser," "CARTEL WAR", "Angel Wishes," "25 to Life," "Redemption," "December Ends," "The Sweep," "Tamales and Gumbo," "Strange Wilderness," "American Fusion," "Spin," "The Yardsale," "Mano," "Mating Dance," "Hauntsville" and "2 Fast 2 Furious." Born in Berlin, Germany, her dad a native of Berlin, Germany and her mom a native of Lima, Peru, Sandra has been involved in dance and theatre since she was a child. She's always had a passion for the Arts. Once she moved to Los Angeles, she studied at the Lee Strasberg Institute. She began her career in commercials, and then moved on to TV and film. Some of her credits include working alongside Tony Shaloub and Steve Zahn on the TV show "Monk" and she narrated and had a supporting role in the film, "Drop Dead Gorgeous" alongside Steven Berkoff and Jeremy London. She is very excited about her latest film "CARTEL WAR" in which she has a leading role, playing an undercover narcotics officer. After a phenomenal career in the NFL, Dwight is now creating a successful career in the entertainment industry. He co-anchored and added his football expertise to the Bay Area's highly rated KTVU-FOX 49er's post game show, The Point After. Now residing in Southern California Dwight devotes most of his time to acting. His talent has won him roles in several feature films, including Armageddon with Bruce Willis; The Rock with Sean Connery and Nicolas Cage; Jack starring Robin Williams and Bill Cosby and now he is proud to add Distrupt/Dismantle to his film credits. 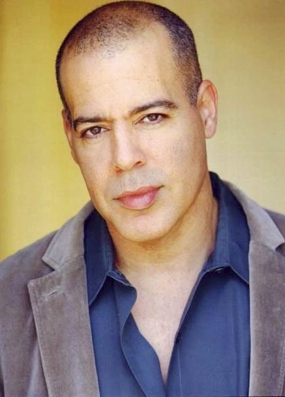 Some of his television credits include How I Met Your Mother, The O.C., The Practice, X-Files and Nash Bridges. 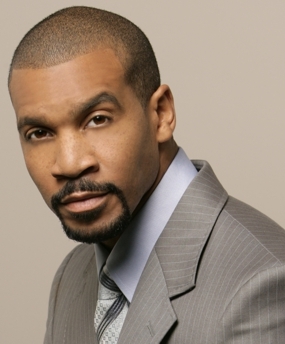 stars as 'Justin Barber,' the executive vice-president of Spencer Publications, long-time friend and right-hand-man to the company's President, Bill Spencer, Jr. (played by Don Diamont) on "The Bold and The Beautiful." 'Justin' arrives in Los Angeles from Spencer Publication's New York office to help 'Bill' in his hostile takeover of Forrester Creations. Spears has appeared guest-starred on numerous television shows including "Boston Legal," "Lincoln Heights," "Bones", and "Criminal Minds." His film credits include the blockbuster hits "Babel" and "I Love You, Man," in addition to the independent films, "Blue Hill Avenue" and "The Mannsfield 12", in which he starred, composed the music and lyrics, as well as executive produced. In 1997, Spears established his own company, HENNA, LLC, which brings a new facet of spokenword poetry and thought-provoking films to Hollywood. Brian took an unusual path to acting. He graduated at the top of his high school class in Kissimmee, Florida, was accepted to Harvard, had an acting scholarship to Tish School of the Arts at NYU, and an appointment to the United States Air Force Academy (USAFA). Brian chose to attend USAFA where he studied Humanities and Philosophy. Upon graduation, he was commissioned as a pilot in the U.S. Air Force. He flew faster than the speed of sound, dropped bombs, jumped out of air planes, pulled ten g's and performed aerobatics in F-16's; but this was still not enough. He left the Air Force and flying behind to pursue acting full time. Brian trained at The National Theatre Conservatory and spent years acting in theatres throughout the U.S; before landing in Los Angeles. Theatre Credits Include: Hamlet (Hamlet), The Glass Menagerie (Gentleman Caller), A Few Good Men (Jack Ross), Henry V (Henry). Film and TV Credits include: Prison Break, The Gadarene Swine, In the Name of the Law, No Need For Heroes. Brian is proud to be a part of CARTEL WAR and would like to thank Troy and Jack for the opportunity to play one of his new favorite characters: Jack Brokowski. 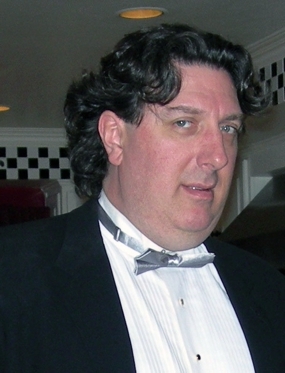 Began acting over 25 years ago in Westport, Connecticut, under renowned acting coach and mentor Albert Pia. 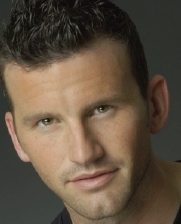 After receiving his BA in Theatre at Indiana University, Steve started his professional career in Philadelphia, co-founding a theatre company, and appearing in several commercials and independent films. 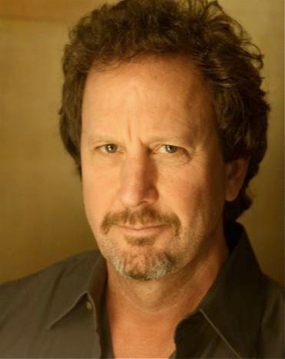 After relocating to Los Angeles in '96, Steve continued his success as an actor and producer, teaming with director Troy Price to form their production company, Relentless Filmworks. 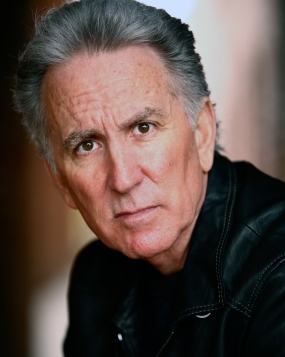 Recently, Steve co-produced and starred in the upcoming crime thriller "CARTEL WAR," working with industry veterans Jack Lucarelli, Jeannie Wilson, Joe Kenworthy, David Bartlett and Larry Parker. When in need of inspiration, Steve studies with acting/life coach Doug Warhit. Steve is the proud father of two beautiful girls, Roni and Maya, and owes his longevity in the business to his lovely wife Ili. Growing up in Houston, TX, Carlos spent his youth playing football, basketball and dabbled with wrestling. It was in the spring of his senior year that he found his passion for acting. In the summer of 2006 he moved to Los Angeles and quickly found representation. 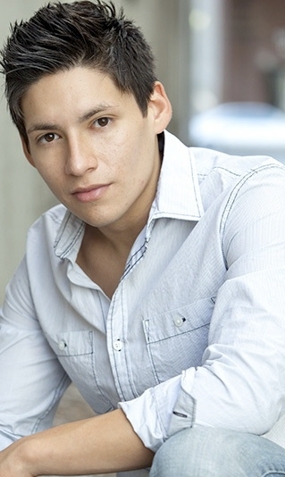 Carlos has completed several feature films and national commercials. So far in 2010 he has 4 films touring the festival circuit, one with a Best Actor nomination for the short film, "Out of the Fire." Carlos treats acting like a sport and makes sure he works out everyday. His hard works and efforts have landed him top representation across the board. If he's not acting he can be found working on his other love...music. An American actor who was born in Baytown, Texas and raised along with two sisters by his parents, Christopher and Anita LaMark. His two favorite activities have always been football and performing arts. After high school he attended the University of Houston, where he walked on to the Houston Cougar football team. During his senior year in college, he decided to fully pursue acting. 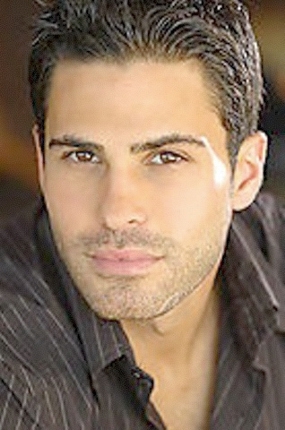 He signed with Calliope Talent agency in San Antonio. A few months later he found himself on the set of the FOX television series Prison Break in a co-starring role. One year later, Christopher moved to Los Angeles. He has appeared on TNT's Hawthorne, opposite Jada Pinkett Smith, and CBS's Gary Unmarried, opposite Jay Mohr. His first supporting role in a feature film is in Jack Lucarelli's CARTEL WAR. He remains in Los Angeles pursuing his acting career. Originally from Washington DC, Demetrius is currently staring in the Off-Broadway production of Black Angels Over Tuskegee (www.blackangelsovertuskegee.com). 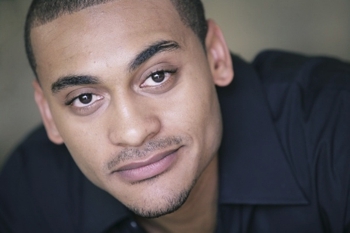 Demetrius acquired training from Howard University, the British American Drama Academy, and University of Cape Town. He is a graduate of the Carnegie Mellon School of Drama. Demetrius' gratitude extends to the creative team behind CARTEL WAR, supporters, friends, family and his loving wife, ANG. 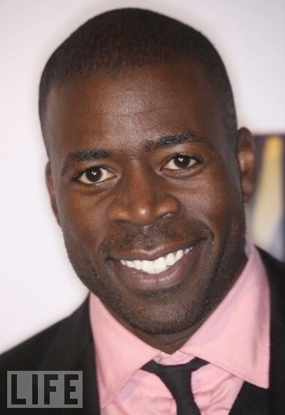 www.demetriusgrosse.com TV: ER, HEROES, CSI: MIAMI, THE UNIT, NCIS, DEXTER. Film: THE GATHERING, A QUIET FIRE, CARTEL WAR, STUDIO, and SOFIA FOR NOW. After numerous appearances on screen and the stage, including "Of Mice and Men" and "Reservoir Dogs," David began a writing career. His first play, "A Gift From Heaven," won the LA Times "Critic's Choice" as well as honors from many other trade publications. The play was awarded eleven Drama-Logue Awards. His second play, "Avenue A", also an LA Times "Critic's Choice," won four Drama Critic's Circle Awards, including the Ted Schmitt Award for best new play and the Featured Performance Award for his role as Larry. "Avenue A" also had a successful Off-Broadway run in New York. Both of his plays have been published by Samuel French. David was selected in the LA Times' annual feature "Faces to Watch" which highlights the work of a select few of Los Angeles' up and coming artists in the entertainment field. David adapted "A Gift from Heaven" for the screen. The film, directed by good friend, Jack Lucarelli, garnered critical acclaim including top honors in Italy's Rome-Florence Film Festival and the Charleston Worldfest film festival in South Carolina. He also co-wrote and produced the independent film "The Corndog Man" which premiered at the Sundance Film Festival. He created the role of J.D. in Del Shores' hit play "The Trails and Tribulations of a Trailer Trash Housewife" for which he won an LA Weekly Award for Best Supporting Actor and an Ovation Award for Acting Ensemble. He is currently starring in "Sordid Lives: The Series." Originally from Chile, at the age of 18 she decided not to participate in the miss Chile pageant in order to study drama in London UK at "Italia Conti Academy of Arts" where she later earned her BA in acting. After graduating she began touring around Europe performing classical and modern plays which then led to films and TV commercials. Since then she has appeared in many independent films and TV series in the UK. Jocelyn has recently moved to Los Angeles in order to continue pursuing her film acting career. "CARTEL WAR" is her debut film in Los Angeles. Born in Los Angeles, but raised in Miami to Cuban parents, Carlo was unhappy where he was. He packed up one day and moved back to L.A. to pursue an acting career. In his first year as an actor, he has booked 4 feature films and numerous commercials and modeling jobs and has a recurring role on a web series called, "Diary of a Single Mom." He has played a diverse number of characters ranging from thug to a surfer to a law enforcement officer and currently a member of a drug cartel family in, "CARTEL WAR." There is no stopping this actor from taking on the most of challenging of roles. Carlo seems to be bound for movie stardom like his famous sister, Eva Mendes. David, who plays the role of 'Otto' in "CARTEL WAR," has been a rerecording mixer, supervising sound editor and sound designer for nearly 30 years and has worked on over 120 feature films. 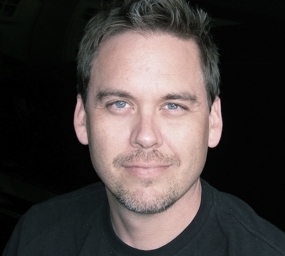 He has worked at every major studio and dozens of minors and independents. Films include "Pulp Fiction," "Total Recall," "Speed," "Hoffa," "Tremors" and "Predator 2" as a sound editor and Patrick Swayze's Without A Word, Doug Pray's Hype, Scratch and Big Rig and GI Jesus, Carl Colpeart's winner of the Grand Prize at the first CineVegas festival. Directors and producers he has worked with include James Cameron, William Friedken, Brian De Palma, Paul Verhoeven, Tobe Hooper, Quentin Tarentino, Emilio Estevez and Joel Silver, and actors include Goldie Hawn, Patrick Swayze, Morgan Freeman, Lawrence Fishborne and David Carradine. He has worked on films that have screened at Cannes, Sundance, New York, Berlin, Maui and Venice festivals to name a few and has won awards at Sundance, Seattle and Worldfest Houston, among many others. David considers Redland one of his favorite productions and loved working with the talented team of Magdalena Zysyk and Asiel Norton. His contribution to "CARTEL WAR" in so many areas has been monumental to say the least. (world percussion /composer) has explored his passion in music for 35 years in many scenarios, including symphony orchestra, Brazilian ensemble, jazz, world music, rock bands, drum corps and tympani in a brass ensemble. He is also an accomplished session player recorded on many projects and has composed music for film scores, commercials and modern dance. He has performed in various groups including the World Festival of Sacred Music. Ron is a re-recording mixer at Warner Bros., mixing hundreds of films such as "8 Mile, Heat," "Reservoir Dogs," "Dante's Peak," " The Fifth Element," "Tarzan," "Sherlock Holmes," "Valentine's Day," "Terminator: Salvation." He has collaborated with TRIP Dance Theatre as a musician and a composer since 1999. His current album "Sojourn"(available at cdbaby.com and iTunes) is currently featured in the upcoming film, "CARTEL WAR." 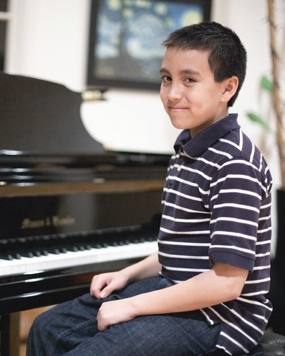 James is a very accomplished pianist and composer at the young age of 13. He has performed various works of composers from Chopin, Beethoven, Mozart, Prokofiev, Rachmaninov and Bach. James started composing his own works at the age of six. His compositions have won many contests including the "Reflections" arts contest seven years in row. 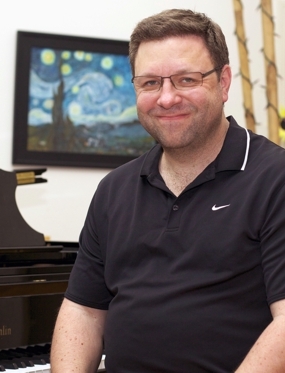 He has also been a winner at the Glendale Talent Search in 2005, Southwestern Youth Music Festival "open piano solo," The Young composers Guild, and ws chosen to perform his composition, "Prelude #1" at the MTAC convention in Sacramento and San Francisco. James currently attends the "Colburn School of Performing Arts" of Los Angeles for piano and musical theory. In addition to his musical talents, he has been awarded as talented and gifted in visual arts for his drawings and paintings. He recently scored additional music for Guy Ritchie's film "RocknRolla" and is now currently co-composing the entire score for the feature, "CARTEL WAR."